HOPE EVER ON, MY LOVE. Copyright. 1891, by T. B. Harms & Co. Words by Palmer Cox. Music by Malcolm Douglas. 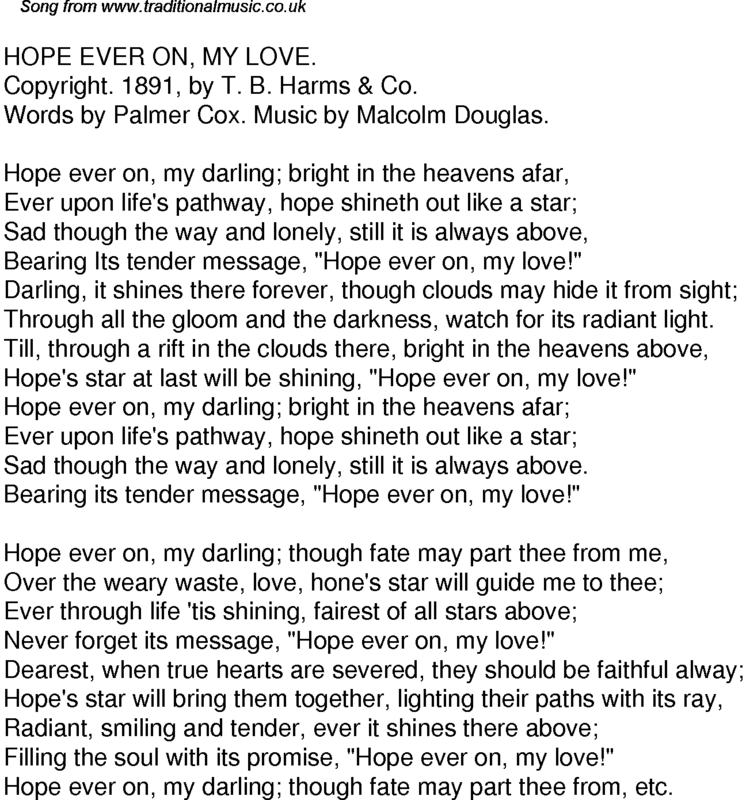 Bearing Its tender message, "Hope ever on, my love!" Through all the gloom and the darkness, watch for its radiant light. Hope's star at last will be shining, "Hope ever on, my love!" Sad though the way and lonely, still it is always above. Never forget its message, "Hope ever on, my love!" Filling the soul with its promise, "Hope ever on, my love!" Hope ever on, my darling; though fate may part thee from, etc.